All the speed and convenient color capabilities you need in a business printer. Perfect for businesses looking for fast, affordable, desktop color printing. Fast one-page-per-second speed. Edge-to-edge full color prints. You're surrounded by color in the real world. So why does the world of printing make you choose between color and monochrome? The C6000 Series Office Printers change everything. Now you can print color at an amazingly fast 60 pages per minute. There's no waiting for warm ups. No moving ink cartridges. No delays between pages. The C6000 Series printers deposit "edge-to-edge" color ink in one pass. And the "always-on" feature means it's always ready to go at a fraction of the cost and energy used by other printers. From now on, you and your team can print as big as your ideas. Business printing in color today is expensive. But now there's a choice. The cost-per-page of the C6000 Series printers is a fraction of the price of typical color laser devices. 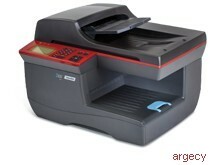 That makes them the fastest and most efficient office color printers you can buy today. Whether waiting to print or actively printing, the C6000 Series printers use significantly less energy than monochrome and color laser technologies, per minute, per page, or per week. Save energy, save money. The C6000 Series printers feature Memjet's revolutionary Waterfall Printhead Technology. Unlike other printers that use "back and forth" printheads, Memjet technology actually lays down more than 700 million drops of ink across the page in one pass for rich, vibrant edge-to-edge printing. The C6000 Series printers use Memjet Formula Inks created specifically for Memjet's Waterfall Printhead Technology to provide the best possible print quality. C6000 Series printers are shipped with long-lasting, durable ink tanks that can be refilled. The C6000 Series ink refill program gives you affordable ink whenever you need it. The refill tanks can be refilled and reused over the life of your C6000 Series printer-saving you time and money. Going green has never been so productive or easy. Print Driver Hybrid Host Based Driver supports popular Windows - and Mac - operating systems. Ink Dry Time Less than 1 second. Paper dry to the touch before leaving printer. Paper Types Plain paper, glossy and matte microporous coated inkjet paper.